Go straight, through the traffic light, onto Kekuanaoa Street. 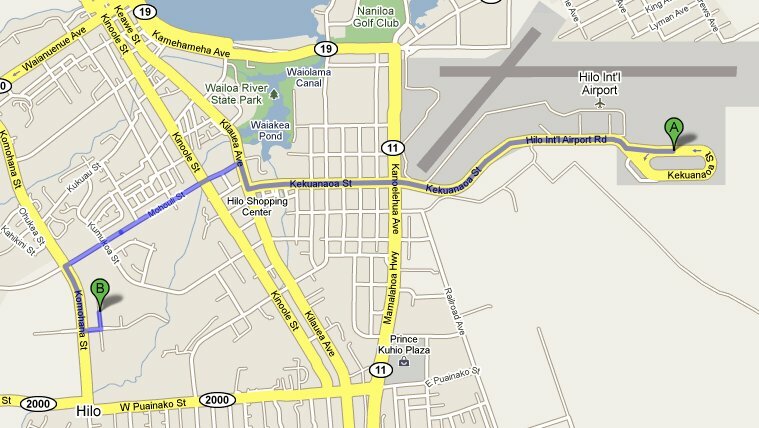 Kekuanaoa Street will dead-end in about 1 mile at Kilauea Avenue. Turn right onto Kilauea Avenue and immediately get into the left lane. Turn left at the 1st traffic light onto Mohouli Street. Turn left onto N. A’ohoku Place.